Pets are your friends who take care of you when you are alone when you are feeling down and depressed. Also, they are with you in your happy times, and most of the times they are the only source of your happiness in life. The affection and love of your pets are unconditional. Therefore, it is your responsibility to take care of them as they take care of you. In this article, we are going to share with you some of the tips that will help you take care of your pet, no matter which animal you own. 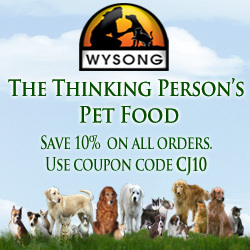 If you are a pet lover, you are definitely feeding your animal with the right type of food. But what most people do is that they are concerned about feeding good food to their animal, but they do not have a good idea about what to give them. In this regard, it is important that a pet owner research about the best food for the animal according to the age and stage of their growth. Also, along with the proper diet, it is necessary that you feed your pet with your own hands. It will help you develop more deep affection and affiliation with the animal. Just like humans, your pet also needs your attention and love and feeding them with your own hands is one such gesture that they will love. 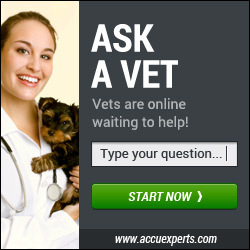 Medical care of your pet is one of the primary responsibilities of the owner. Many people ignore the visible symptoms of illness in their pet because they do not know why they are behaving differently. In such cases, and even if you know your pet is doing well, it is necessary that you carry out proper medical checkup after every month. In this way, any disease originating in the pet body could be identified and controlled in time. Now you must be worried about the medical expenses, but you should not be because if you are resident of Australia, you have the option of iselect where you can get an amazing pet insurance policy which will have medical coverage for your pet. This is extremely important things that every pet owner must provide his pet because they live in places where you live. So, for your health and your pet health, it is very important. It will help you keep your pet clean, neat and hygienic and could prevent infections and disease incidences. To do this, you not only have to train yourself but also your animal to not climb your bed and sofa. Once they get trained, it will be very easy for you to carry them in your home. These are some of the important things that every pet owner should take care about to keep the pet healthy and active. These activities will take your time, but it’s worth your time, money and energy because pets are extremely valuable and should be taken good care of no matter what.